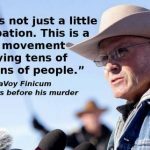 The Meeting with LaVoy Finicum that Never Happened . . . .